DEEP CATACOMBS - Tucked away in a small corner of Neopia, lies the quiet Coffee Shop, accompanied by the much quieter Coin Shop. At some point in Neopian history, coffee fell out of favor with the masses and soft drinks arose. Perhaps it was the location; no one could have known it was within the Art Gallery. Now, it’s more popular relative the past when it was nearly lost to all of Neopia from neglect Well, now there’s no excuse of not knowing where it is! I came upon this shop by accident, as I loved exploring all the places of Neopia when I was new to this great world. Along with it, I found the coin shop (which I discovered rarely ever stocks since all the coins are of rarity greater than 90), the Neopian Times, Poetry Contest, Art Gallery, and How to Draw. It was a nice quiet place to go to with my Scorchio, greenpyre (He was my only pet at the time. ), to get away from the hectic Neopia Central. This all changed when the Coin Shop opened up another shop in the Neopian Bazaar, only to be bought by Petpet Supplies. With the search for the original Coin Shop, and influx of new restockers began hanging around the Ye Olde Coffee Shoppe, while waiting for the latest delivery of coins straight from the Neopian Mint and restockers in search of new shops to restock at. The coffee shop wasn’t a great place to restock however as it barely had anything that was worth making a bigger profit. I admit that I have bought some items from the Coffee Shop and resold it in my shop, but that was purely only to allow people to experience what they never had before. Things have quieted down in that coffee shop since the failure of the second Coin Shop, and now it rarely ever sells out all of it’s stock. The only frequenters now are coin collectors (Those cheapskates. Just kidding. 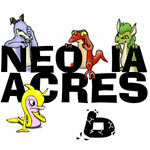 ), Neopian Times writers (which I aspire to become), other writers, artists, poets, and a few dreaded restockers. Coin Collectors just stroll in casually as it is casually referred to as “the nice little shop around the corner.” They grab a House Blend Coffee and perhaps a Tigersquash Cake for their pets while waiting for the next armored truck and guards to delivered the highly valued coins. Writers often stroll in before, after, or even during their writing process. I have often met some renowned Neopian Times article writers in there, taking a bite out of a Snowberry Delight and brushing the crumbs off their work in progress. Their pets quietly sip their tea or coffee while looking over their owner’s shoulders. I never approached them and respected their space in the quaint little shop. The coffee shop’s famous blends of fruit with tea or coffee gives a zing varying from a slight tingle on your taste buds to a full-blown bomberry explosion in your mouth that will wake you up or give you inspiration to continue writing. Artists often stare into the their blends or Tigersquash Cakes or whatever they bought from the coffee shop to give them a little inspiration. It doesn’t hurt to have a little blairnut frolicking on your tongue to get those creative juices flowing. After all, the flavors are inspiration enough. I have nothing against poets, but they usually fill the small coffee shop on Fridays. They have their own place not far from the shop, but once in a while, they like to share poetry over a nice cappuccino or two. I’ve heard my share of good and bad poetry and it’s easy to tell when a new poet has entered the Coffee Shop and tried to write one about their blend or whatever they might have bought for their pet. Restockers are a dread. The bring their Neopian Checkbooks and write out large sums to buy all the uncommon exotic blends and coffee and tea complements, like Thornberry Jelly. No, not Whole or Half Thornberry Jelly from the make-believe of children about a world of jelly. Who denies the pets the privilege of a good blend or even a nice relaxing Mint Tea? It’s a good thing that the shop is almost restocked free. After all, if you’ve never heard of it, how are you going to know to buy it? Here are some of the drinks and other foods that I have come across in the shop. Perhaps there are ones that I don’t even know about reserved for the elite! The shopkeeper always seems nice enough, so I doubt that. Did someone just think that there is nothing above rarity 90? Banish the thought! This coffee is good enough to be gourmet! Now onto the ones that I do know exist. These are some pretty good teas for anytime of the day. When your pet have just woken and still feel a little sleepy, the Breakfast Tea will wake your pet up in no time. The have less of at kick than the stronger teas and tastes great if you aren’t the type that likes exotic berries. Their made from 100% natural ingredients whether it be mint leaves or the skin of a blairnut. You may find yourself asking, “What’s a Strongberry or a Fundus Fruit?” Well, I don’t know either, but they give these teas great flavors! Don’t let it’s appearance scare you away from trying their wonderful flavors. (The Fundus Fruit Tea may look like it came from the evil swamp lair of some evil villain plotting some evil plot against Neopia in his evil mind with his evil minions. Okay, I’ll stop using EVIL!) Let your pet experience some of the wonderful flavors infused in the liquid by fruits from all over Neopia. They tend to have a stronger kick than normal teas made with only leaves, so don’t be surprised if your pet is up and running quickly after he or she was down after losing in the Battledome. The fruit-infused teas may taste a bit funny at first, but the familiarity of two flavors will ensure enjoyment of this new drink. A daredevil, I see? Well, even if you’re not, you can always close your eyes and pinch your nose when you drink these teas. These teas have the greatest aromas of all teas and the most exotic flavors. Be warned, they pack quite a punch in each sip. Don’t be afraid to pucker when you try the Super Sour Melon Tea. After all, the coffee shop owner expects this, and it was made this way. Take quite a lot of care when drinking a Flaming Bomberry Tea. You may get knocked out of your chair by the strong flavor itself! My favorites, the Strawberry Butter Tea and the Ummagine Tea, are not as strong but just the right flavor to make it a drink worth ten times it’s weight in Neopoints, or Dubloons if ye be a pirate. Yarr! Even though ‘Coffee’ is sold in the Food Shop, it’s no compare to these special coffee. (Besides, the food shop coffee is made from instant. Bleh!) The House Blend is a special one you can only find here. Actually, all the coffees here are only found here. A nice strong caffeine boost for your pet. Plus it comes with the Coffee Shop’s famous amaretto cookies. Cobrall Coffee, however does not come with amaretto cookies, but a cool mug! Coin collectors often buy these because they are relatively cheap and gives a nice caffeine boost. How would your pet like a nice warm robust-flavored coffee topped with just as much cream? These will warm him or her up from the inside out and also come with amaretto cookies! These coffees may cause your pet to gain weight, but they won’t mind once they take one sip or even one whiff of these brown liquids. If you want a sweet, robust, fruity, high energy drink, then the Cappucinos and Mochas are for you. These are the favorites of Neopian Times Writers. You probably never even heard of the Puplum, Karakuberry, or even the Kabuggle, but they all tastes great in the Mocha. The more famous Pinanna, Zeenana, and Tigersquash blend well with Cappucino. I would not feed any Mochas and Cappucinos to my pets, but that’s only because they get a bit too energetic. If your pet is sluggish, why not perk him or her up with a Cappucino or Mocha? If you’re watching you pets weight, you should try these coffees with no added sugar or cream. Don’t be daunted by the names, even though Weevil Coffee is made from weevils. Phear Coffee is made with Phear Juice and WILL NOT induce fear in your pets. Just hearing the names will make your pet’s mouth water. Then again, you might think that their just fruit drinks with a little bit of coffee in them. I assure that they are at least 95% coffee. These coffees are ideal for pets who have a sweet tooth. Too much sugar will cause your pet to burn out quickly and don’t force your pet to drink these high sugar coffees only to get the Tooth Faerie to give you an avatar. Expect a nice energy boost from these wonderful blends. Sure, they may not be the best tasting ones but they give a really big jolt that can carry any pet though the whole day! However, you should never try challenging anyone to a contest to see who can handle more of these blends or drink it down the fastest. All I need to say is this: The Art Centre is devoid of REAL toilets. Now I can’t discern whether this is a brew of tea or brew of coffee, so I’ll classify it as other. Both off these drinks are revolting, but they pack the greatest zing. Gracklebug Brew is even rumored to be able to clear up your Neopet’s sinuses! If you find a Gracklebug in your Brew, it’s only and added bonus! These baked foods can be found right inside the Ye Olde Coffee Shoppe and are great complements to the plethora of wonderful drinks that you can find there as well. Tigersquash and coffee may not go well together, but products made from tigersquash increases the Coffee Shop experience tenfold! These foods, which may be considered desserts at any other time, are wonderful sweet foods that may cover a disgusting after taste from on of the drinks. Promise one of these and your pet is sure to quaff down a Sludge Frappucino. Drop your Achyfi or Neocola (in a trash can of course. You don‘t want to be a litterbug.) and stop by Ye Olde Coffee Shoppe to grab a blend or two for your Neopet. Be a responsible owner or your pet may end up like the ones in the Old Coffee cartoons Perhaps you may even run into a famous Neopian Times Writer.